Use solar powered lights as path edgers, they will save money and show you the way home! They are great for chitting (sprouting) potatoes prior to planting. 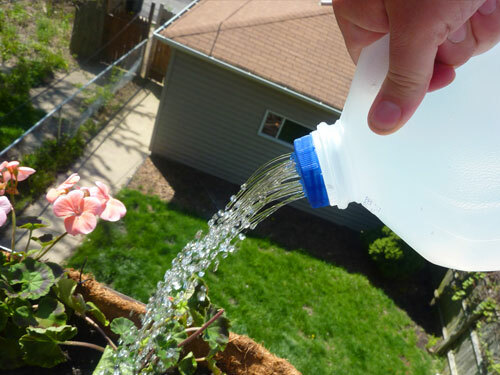 You can easily turn any old plastic bottle into a neat watering can with a Bottle Top Rose. Simply screw onto your bottle and then use to water your seed pots or trays. Make a watering can out of an old plastic bottle. A bulb planter works really well for planting out pots that are 7-10cm in diameter. Make the holes using the bulb planter, and pop the pot grown seedlings in. A bulb planter minimises root disturbance and is much quicker.